Just a couple more moon images since this eclipse was a very big deal and since I expended a lot of time, energy and dollars to witness and photograph it. 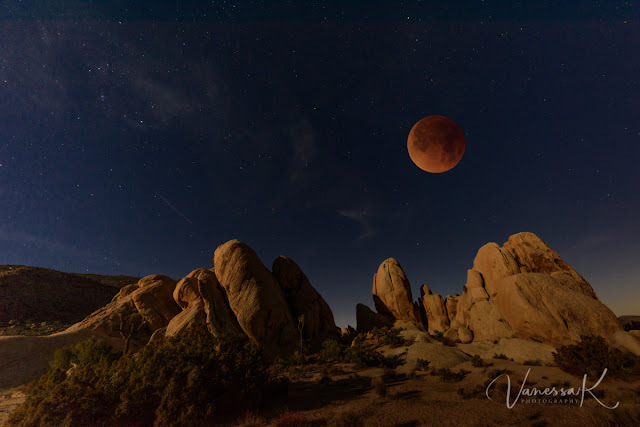 This is a fully eclipsed moon suspended over the soaring boulders in Joshua Tree. 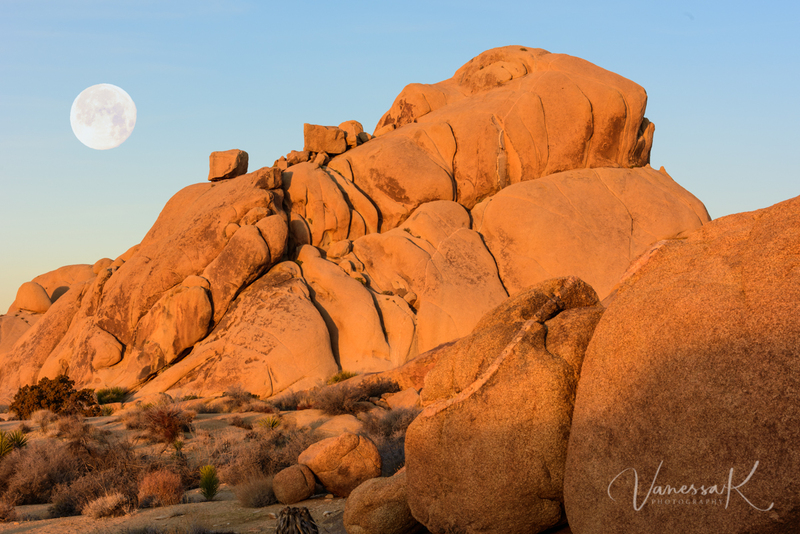 and a waning moon setting over similar boulders the following morning. OK, enough of the moon for the moment; I will move on in the next post.